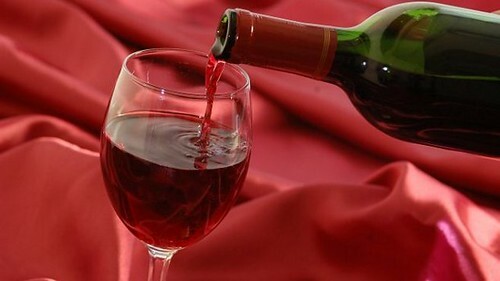 Wine is an amazing drink that you can enjoy at any occasion. There are so many good wines produced all over the world these days. If you are looking for ideas for your next holiday and you enjoy a good glass of wine then you should consider going for a wine holiday. Here are five of the best wine countries to visit. Spain is such a great wine country and it is definitely a good holiday destination for wine lovers. There are many different regions to go to but perhaps the best areas to experience are the Ebro River Valley region and Andalucía. These areas both have amazing wine specialities to try out. You can also find plenty of vineyards in Spain that you can visit. Frommers has a nice list of the best vineyards of Spain and you should check them out if you are looking for a nice holiday destination. One of the newer, exciting wine countries to keep in mind is Chile. It is a really lovely country to visit even without the wine but that just makes it really wonderful. There are plenty of different wine regions in this country as well and you got plenty to choose from. If you have never been in Chile before then it is a good idea to keep the capital Santiago as your main spot and use it to travel to different vineyards around the country. If you are looking for a more traditional wine country to visit then you can’t go wrong with France. There are plenty of amazing vineyards in this country and it is such a pleasant country to visit as a tourist. Again, there are plenty of regions to visit in France that produce amazing wine. Perhaps the best areas to keep in mind are Burgundy and Bordeaux. There are plenty of small vineyards here open for public and a wine road trip in France is a great holiday idea. You should also keep the US in mind when you are looking for a great holiday destination. California produces some amazing wines and makes a great holiday destination with cities like San Francisco and Los Angles. It is a good idea to visit a small vineyard and taste some amazing local foods as well. You can also spend a few days doing normal touristy things in San Francisco, for example. It is a great holiday destination for the whole family. Another amazing country to visit is Australia. This country is also famous for its wines and there are some amazing opportunities out there for experiencing the best of Australia’s wine. You should definitely try to go for the Barossa Valley for some proper old-fashioned Australian vineyards. Australia is also famous for amazing nature so make sure you enjoy the scenery. The above five countries are great holiday destinations to keep in mind, especially if you also love wine. They all provide you a nice possibility to experience wine together with amazing food and entertainment.